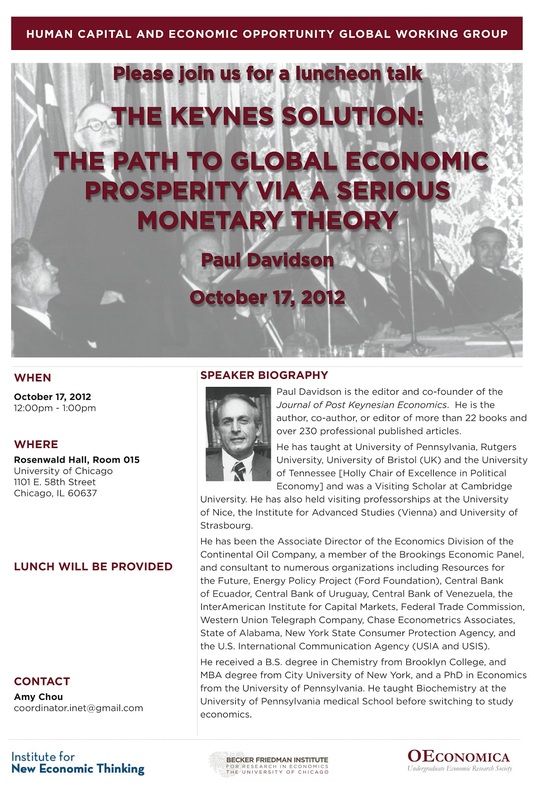 If you are near by, do not miss Paul Davidson's talk in Friedman's backyard. The talk is October 17, from 12:00pm to 1:00pm at the Rosenwald Hall, Room 015, University of Chicago (1101 E. 58th Street). 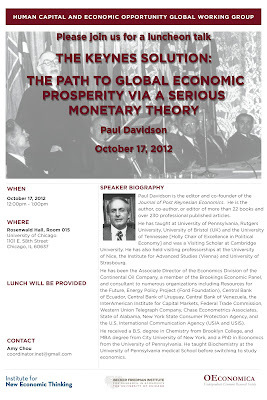 And yes they will provide a FREE LUNCH, brought to you buy the Association of Sarcastic Economists (no, just INET). The poster says otherwise Roman! And Romney, for example, had quite a few.